High energy physics deals with the nature of the fundamental constituents of matter and their interactions. The past 60 years have witnessed tremendous progress in our understanding of these issues, and a remarkably simple and elegant picture, the so-called standard model, has emerged as a result of intensive experimental and theoretical investigations. Nevertheless, many basic questions remain to be answered. Why does the universe contain so much more matter than antimatter? What is the origin of mass and electric charge? 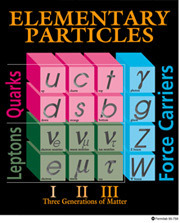 What is the purpose of the heavier "copies" of the quarks and the leptons that make up most of the matter in our universe? How did each of the four fundamental forces acquire their distinctive characteristics, and to what extent are these forces related? Exploring these issues requires probing the structure of matter at extremely small distances, and therefore high energies. 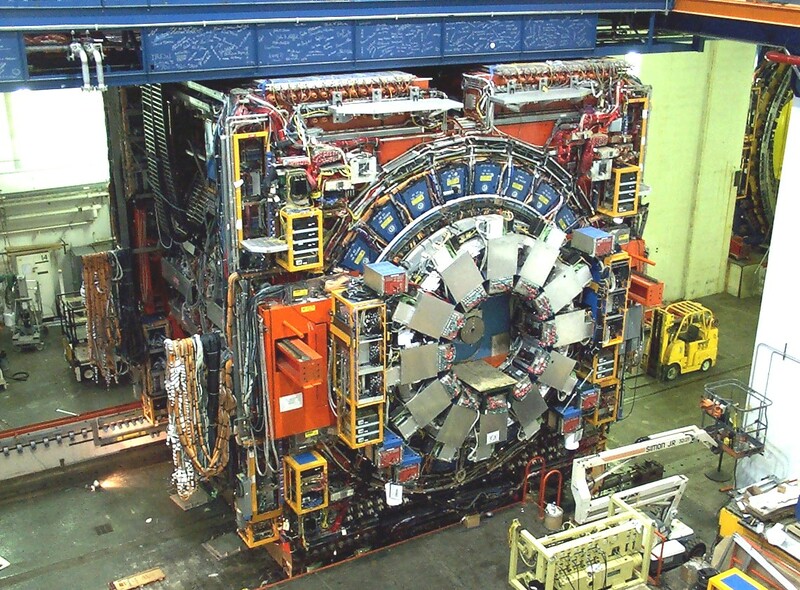 Consequently, experimental activity focuses on the use of high-energy accelerators to reach extreme conditions, and theoretical approaches lead to frontiers of modern mathematics in attempts to crystallize and unify understanding. The department has a long and distinguished history of research in the field of high energy physics, which continues to the present. 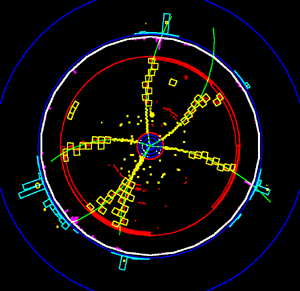 We completed two experimental programs at the Fermilab Tevatron, that included studies of the top quark, W and Z bosons, and the search for the Higgs and supersymmetric particles at the CDF (Professor Bodek) and D0 (professors Demina, Garcia-Bellido, and Slattery) experiments. 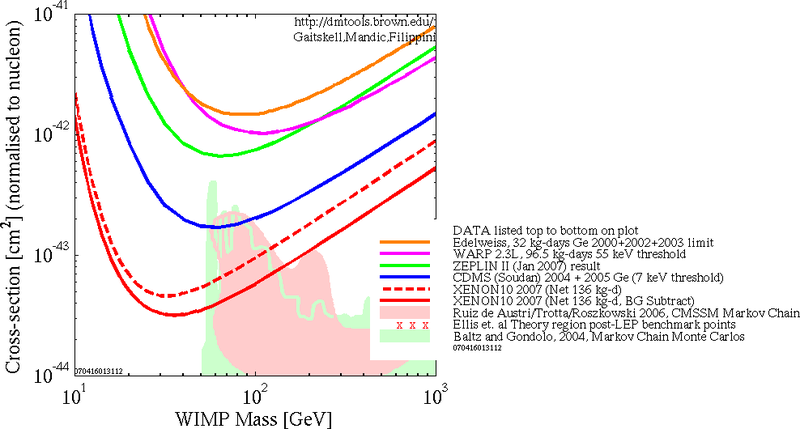 These studies are now ongoing at the CMS experiment at the Large Hadron Collider at CERN, again focusing on studies of the top quark, W and Z bosons, and investigation of the newly discovered Higgs boson and search for supersymmetric particles (professors Bodek, Demina, Garcia-Bellido). 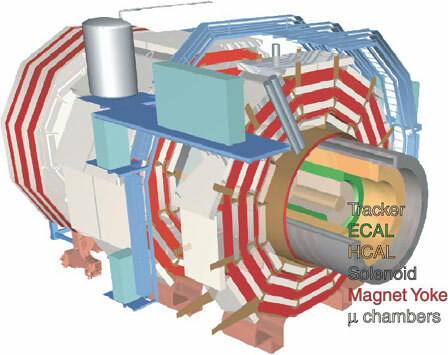 The group played a major role in the construction of the CMS hadron calorimeter (Bodek and P. de Barbaro) as well as the construction of the silicon tracker (Demina), and is now working on that upgrade. Our current high energy neutrino experimental effort is now focused on investigation of neutrino quasielastic, inelastic and resonance production on nuclear targets with the MINERVA detector at the NUMI beam at Fermilab (professors Bodek, Manly, McFarland, and H. Budd). A complementary effort is the investigation of electron quasielastic, inelastic and resonance production on nuclear targets with the JUPITER experiment at Hall C at the Jefferson Laboratory (professors Bodek, Manly, and McFarland). These data provide a detailed understanding of neutrino-nucleon interactions for neutrino oscillation experiments. The Rochester neutrino group is also involved in the T2K neutrino oscillations experiment at the Japanese Proton Accelerator Research Complex (J-PARC). 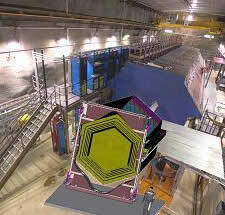 Particle astrophysics incorporates elements of astrophysics, particle physics, and cosmology. By observing very high energy cosmic rays, gamma rays, and neutrinos arriving at Earth, we hope to understand where these particles are accelerated and how the accelerators work. The extreme energies (> 1 TeV) and cosmologically large distances to the sources also make these particles important probes of interstellar and intergalactic space. Our experimental program in particle astrophysics includes the search for dark matter at the Large Underground Xenon (LUX) Experiment (Professor Wolfs), the search for TeV gamma rays at the High-Altitude Water Cherenkov (HAWC) Gamma-Ray Observatory in central Mexico (Professor BenZvi), and the search for astrophysical neutrinos as the IceCube Neutrino Observatory at the South Pole (Professor BenZvi). 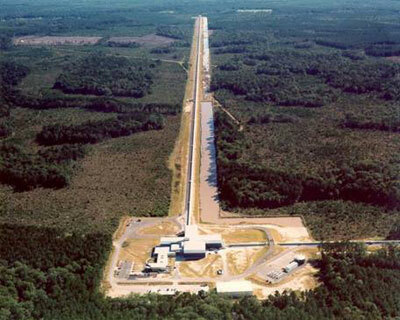 Previous projects involved using liquid xenon detectors with the Zeplin detector (professors Ferbel, Schroeder and Wolfs) at the Boulby mine, and searches for gravitational waves at high frequency with the LIGO (Professor Melissinos) gravitational wave detector. Previous high energy neutrino experimental effort with the NuTeV detector at Fermilab has shifted to lower energies (Profs. Bodek, and McFarland, and Drs. de Barbaro, Budd and Sakumoto). 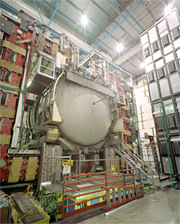 Our past experimental programs at electron-positron colliders included studies of the properties of the bottom and charm quarks and properties of the tau lepton at the CLEO experiment at the Cornell Electron Storage Ring, then at the BES III experiment at the Institute of High Energy Physics (IHEP) in Beijing, China (Professor Thorndike). 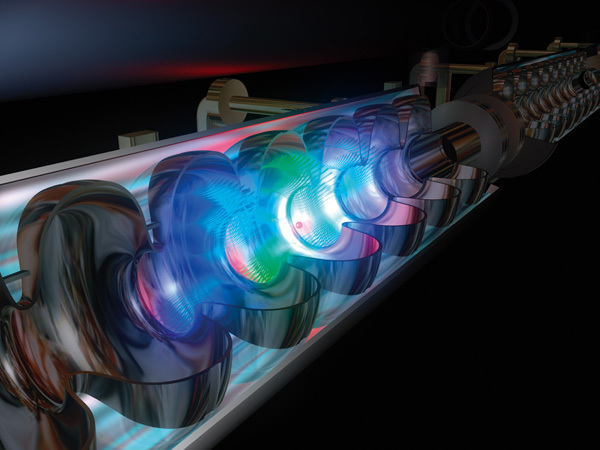 There was investigation of physics possibilities at the next International Electron-Positron Linear Collider (ILC) (professors Manly and Orr), and also research on the development of electron beams for future linear accelerators. On the theoretical side, research has included investigation of the foundations of Quantum Field Theories (Profs. Das, Hagen and Rajeev), the phenomenological application of theory to experiment (Professor Orr), nonlinear integrable models (Professor Das) and non-associative algebras (Professor Okubo).